New signing! Is it a Left Back? Is it a Striker? No, its another Keeper?! Another home defeat for the Toon with another two goals conceded. We had never started a season losing our first four home games in a row, but that stat has well and truly gone. We are in dire straits. Jamie Vardy converted a softly awarded penalty before Harry Maguire sealed our fate late in the second half, as the England heroes put us to the sword. I don’t even remember the last time we had an England hero, that tells its own story. I joined Football Index last month and I have genuinely made hundreds. If you want to try it for yourself follow this link and deposit at least £20 and send me a message on Twitter @TheGingerPirlo_ for any advice. I will help you get started. Mike Ashley was in the crowd We had an extra guest in the stadium on Saturday afternoon in the rotund shape of Mike Ashley. The Newcastle Utd owner has had the nerve to show his face at two games in a row now, after he sneaked into watch us at Palace last week. NUFC have signed Charlton Athletic, 25 year old, goalkeeper Rob Elliott. What? I'm sorry what was that..? So, Newcastle Utd have signed a new goalkeeper. Not a very good one either. For reasons that can only be described for Goalkeeping cover..? What in the blue hell is going on? Are NUFC taking the piss or what? I'm not having a go at the team bringing in new players but just what the hell is going through the minds of Alan Pardew and his staff?! Newcastle United may not be the finished article in regards to a completed squad by any means but the one thing, the very one thing we can hold our heads up high and boast about is the fact we have a shower of riches when it comes to Goalkeepers. On our books we have no less than Steve Harper, Tim Krul (Dutch No.1), Fraser Forster (Future England GK), Ole Soderberg (Future Swedish No.1) and a England U-18 goalkeeper Jak Alnwick. So can someone with any brain cells explain to me and the rest of us why we would even consider looking at other goalkeepers for the next 10-15 years, never mind actually bring one in on a PERMANENT transfer?! Now if the goalkeeper we were bringing in was world-class and would go straight into our first team then it may be understandable.....but Rob Elliott?...from Charlton Athletic?....What? The mentality of the some of the people currently employed by NUFC has been questioned without doubt, but this latest signing is simply scary. I mean if they let Fraser Forster go to Celtic and don't trust any of the goalkeepers we have to be more than capable of coming in at No.3 choice as it were, then there needs to be serious questions asked as to who exactly is coming to these conclusions....and what the hell are they going to do next?? Sell Ole Soderberg? Sell Fraser Forster to Celtic? Retire Steve Harper early? Sell Jak Alnwick? Sell Tim Krul? Give Rob Elliott the No.1 Shirt? Unfathomable to understand. I'm really going to need someone to explain it because I just can't work it out given the fact I have a brain that works properly. Newcastle accused of signing Asian players for purely commercial reasons. 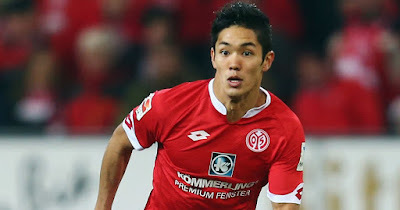 Newcastle Utd are set to sign their second Asian player in a matter of weeks with Yoshinori Muto on his way to Tyneside from Japan to complete his medical. This follows the free transfer of Ki Sung-Yeung from Swansea. This raises some questions of what is the sudden interest in Asian players, considering that before these signings Newcastle had never had an Asian player in their history? Ever. Now I am not saying these aren't good players and won't do well for us. They might. However, if you take a look at our new shirt I think the main answer is staring us in the face. As of last season, NUFC gained a new shirt sponsor from the awful Wonga debacle to the new and 'funky' Fun88bet.com who are an Asian online betting company. So I don't think it really requires an investigation from Sherlock to work out where I sudden interest in Asian players has come from. 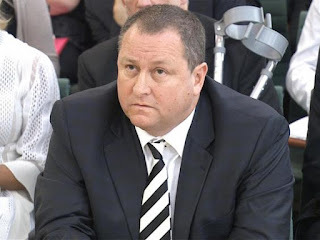 Mike Ashley has done a lot of things at Newcastle. Most of it inconceivable to a Newcastle fan. But his latest venture in making Rafa Benitez' time on Tyneside untenable tops the lot. The question is why is he doing what he is doing? Why is he blatantly refusing to support him and not making every effort to keep him here for years to come? Some say it's perhaps there is a possible sale of the club in the offing so for him to spend any money isn't in his interest, nor is the future of the club. This is wide of the mark IMO. Others say it's because he refuses to allow a manager with one year left on his contract to spend money on players and then leave at the end of the year, which would then leave a scenario of a new manager wanting his own players. This is closer to the mark IMO. Why Rafa Benitez taking the Spain national job makes sense. Fernando Hierro has left the Spanish football federation and with it leaves the Spain job open for a new manager and beginning. 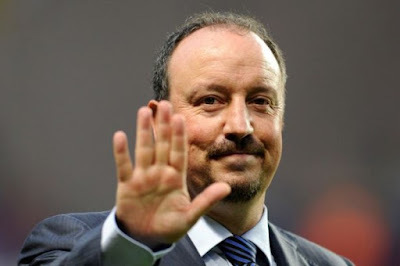 Rafa Benitez name has been linked and dismissed by many as nothing but paper talk. However, when you consider it logically, it makes sense. Spain have been horrendous in the last two World Cups since becoming champions of the world in 2010. Dumped out in the group stage in 2014 and embarrassingly losing to Russia in 2018. Defensively they were shocking and in attack they were several lacking in cutting edge as they pass, pass, passed the ball around side to side seemingly for the sheer sake of it. Their midfield maestro's of Xavi and Iniesta are now gone and Cesc Fabregas won't be around come the next World Cup and wasn't even picked in the squad for Russia. What Spain need is a new generation and with it a new style. Tiki-taka looks like yesterday's style and boringly out of date. They also don't have the right players to do it.